Superior strength, able to adapted to harsh environments, for hanging heavy duty string lights. Supports string light installation with maximum length of 150FT. Supports independent installation for 3 pieces of 50FT string lights . HEAVY-DUTY SUSPENSION KIT: Made of environment-friendly 304 stainless steel (without any plastic), it has excellent durability, strength and weather resistance, and can bear a load of 200 pounds for a long time. It can last for 5-8 years under the harsh environment of strong wind, heavy rain and humidity. EASY TO INSTALL AND RUGGED: Prefabricated components have considered the different factors of installation in a variety of environment, solved the different problems encountered in use. They are bigger and heavier than other products on the market, The powerful and uniform configuration enable it has a final result very durable. 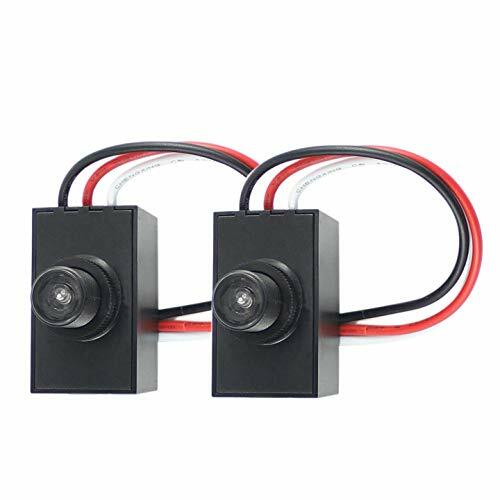 SPECIALLY USED FOR OUTDOOR STRING LIGHTS SUSPENSION: After repeated tests and verification, we make sure the set of parts is sufficient to ensure that the string lights can be stable, long-lasting, and safely hung on it. HIGH-STRENGTH STAINLESS STEEL STRING LIGHTS SUSPENSION KIT: for patio, outdoor string lights, Newpow string light installation kit with great durability and rust resistance, able to withstand harsh environment. YOU CAN REST ASSURED TO BUY: String light suspension kit, they have very competitive prices and a free warranty of 12-month. Updated Stainless steel cable is more strong and durable than before.bare OD is 3/32" coated OD is 1/8".Now they can hold up for a long distance Commercial lighting. Please use this 304 Stainless Steel Cable when you hanging heavy duty commercial grade string lights to assist in hanging them over large open areas.Ensure safety and security, prevent the wind from blowing. Each wire rope cable length 164 feet,PVC-Coated cable is made of 304 stainless steel 7*7 it is firm and rustless.Use additional accessories to wrap around the pillars, trees, joists what you want to hang the environment, simple and portable to achieve a solid fixed cable suspension system. To prevent the string of sagging and swing, it provides a solid way. Suitable for patio, pavilion, deck, garden, cafe, shade wire rope or used as a landscape chandelier lighting,to celebrate your wedding,anniversary and other meaningful festivals.You will create a warm romantic party atmosphere. 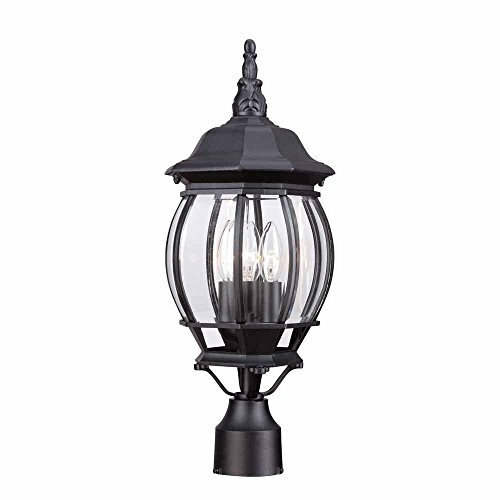 SPECIFICATIONS: Easy to use outdoor string light hanging and mounting kit that measures 5 x 1.4 x 9 inches and weighs 1.15 lbs. 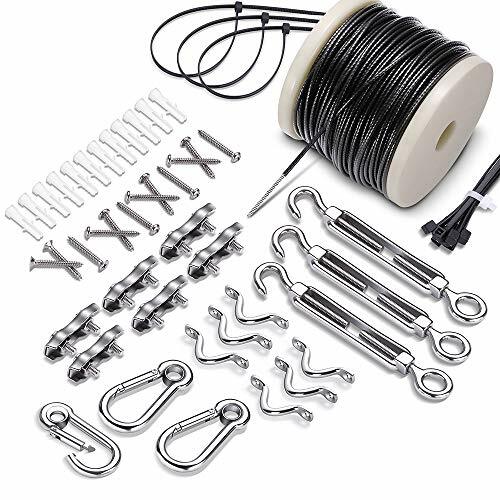 The kit includes 25 zip ties, 2 mounting hooks, 3 wall anchors, 1 U-bolt crimp, 1 turnbuckle hook and 1 cable. Makes mounting outdoor string lights (up to 48 feet long) a breeze. EASY INSTALLATION: Installation is a breeze and is done in a matter of minutes. Simply use cup hooks, guide wires or zip ties with the built-in loops on your outdoor string lights to hang perfectly in your outdoor environment. We recommend using pliers, a 1/4 inch wrench and a socket or adjustable end wrench as part of your installation process. 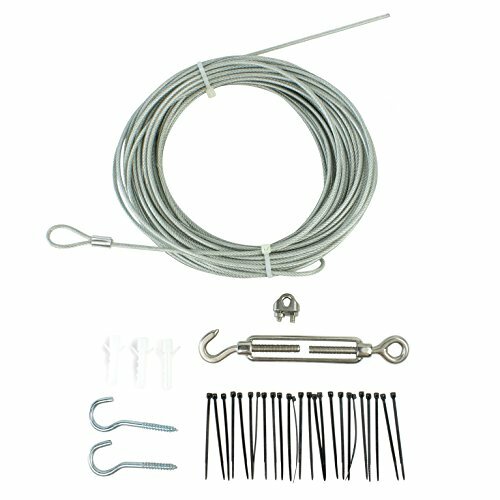 VERSATILITY: This kit gives you everything you need to hang your outdoor string light in a variety of different arrangements. String your lights between trees, along a fence, in your gazebo or within your pergola. SATISFACTION GUARANTEED: This product comes with a 3 year warranty against manufacturer defects. We know you'll love our outdoor string light bulbs. If you have any questions or concerns about your product, feel free to reach out to us. BETTER THAN THE REST: At Newhouse Lighting we only use the highest quality materials and stand by our product. This globe is meant to fit on a 4" fitter or ring secured with set screws. 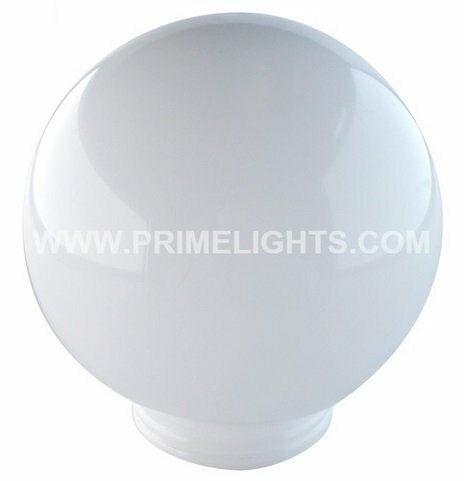 Strong and durable acrylic globes resist aging, weathering, and do not discolor. UV, Vandal, and Breakage resistant. Crafted for outdoor heavy-duty use, the Globe String Light Suspension Kit uses only heavy-duty 304 stainless steel. It's rust resistant, waterproof & windproof and it offers durability for many years to come. The String Light Cable (tension wire) can be easily trimmed to your desired length. It's FLEXIBLE yet STRONG, safe and easy to mount on walls and trees, because of its great properties: 304 stainless steel rope, 7X7, cable bare OD 1/16", coated OD 3/32", breaking strength 480 lbs. *** 4 Snap Hook Carabiner: 2"
*** 8 Eye Strap: 2.5"
*** 16 Screws: 5", 1-3/8", screw thread diameter 9/64"
Enhance your creativity and expect NOTHING BUT THE BEST OUTCOME from the Guide Wire for Outdoor String Lights Kit by smartRSQ! B07H3WC6X9 - 316 stainless steel cable. If something isn't it as you expect to be with any of our products, please, give us an email and WE WILL CHANGE IT, IMMEDIATELY!  RUGGEDLY BUILT STRING LIGHT CABLE KIT: heavy-duty 304 Stainless Steel => designed for outdoor use, with strong weather resistance. Vinyl Coated Cable: 1/16'' Cable Bare OD, 3/32'' Coated OD, 7X7 Construction, 480 lbs Breaking Strength.  EASY TO INSTALL & UNINSTALL OUTDOOR LIGHT HANGING KIT: Every component is threaded and requires no additional tools to complete the project. Tension Wire => Flexible, Strong, Safe, Easy to trim & mount on walls and trees. Complete User Guide included. Don't spoil a great moment of your life by buying a cheap string light hanging kit! GET PREMIUM!  EXTRA PIECES ADDED WITH IMPACT RESISTANCE: All the kit's parts & the Outdoor Light Guide Wire Suspension Cable were carefully selected and tested several times. Successfully passed tests: rust resistance, load weights, breaking strength. 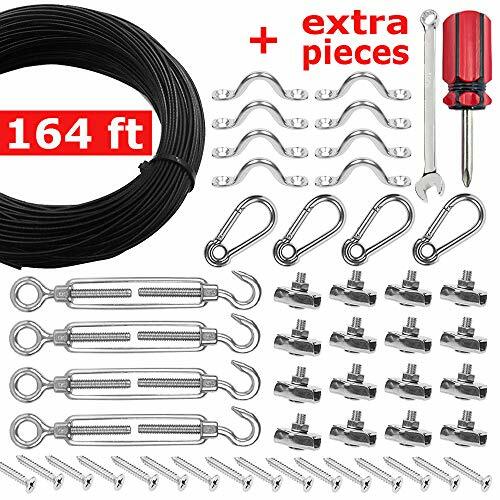 This Complete Outdoor String Lights Hanging Kit contains 4 Carabiners, 4 Turnbuckles, 8 Eye-straps, 16 Screws, 16 Clamps, 1 CROSS SCREWDRIVER, 1 WRENCH + 164 ft Vinyl Coated Cable.  PROTECT YOUR INVESTMENT: If something ever happens with your Lights Kit, WE WILL CHANGE IT immediately without any costs from your side. Perfect Globe String Light Suspension Kit for patio, garden, backyard, fences, porches, gazebos, pergolas, but also for hanging photos, clothes, sun shade sails, and sundries.  MEET THE SMARTRSQ's STORE (amazon.com/smartrsq): Besides the complete Outdoor String Lights Kit, you can also buy our other great products for your DIY Projects: Search on Amazon for B07H413Z6P - Steel Cable Cutter, B07HJD1VXP - Crimper Tool or B07H3WC6X9 - 316 Stainless Steel Cable. ADD TO CART right now! Our Dusk to Dawn Photocell is a great way reduce energy consumption by turning your lighting fixtures on automatically when natural light is reduced. Simple installation benefits user giving lighting without need of worry of turning fixtures on or off manually. Energy savings and comfort knowing your lighting is only used when it should be. 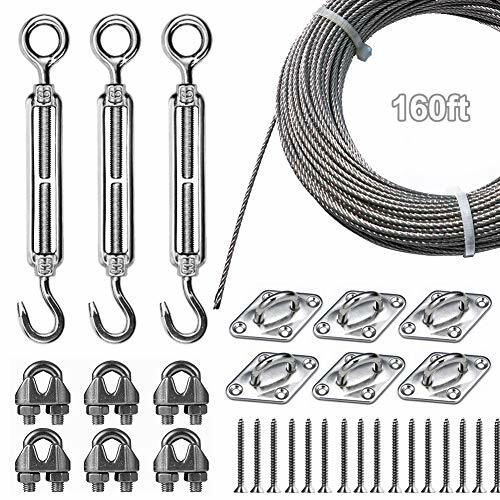 This outdoor wire rope suspension system is insulated and waterproof, suitable for hanging holiday lights, party lighting decorative lamps, drying clothes, hanging oil paintings. Stainless steel cable conductors are 1/16 inch in diameter and 160 feet long and can be Easy adjust cable tension using the push-button on snap hook. If you hold parties in gardens, backyards, patios, and hallways, then use this wire rope suspension system, which can withstand the test of wind and rain, to avoid sagging and falling of light string lamps. It can also play as a home helper, providing excellent support for drying clothes for you and your family. When your child finishes a painting on his own for the first time, you can decorate it and hung it at home, either as a decoration for the family or as a souvenir. Perfect for hanging outdoor string lights - The 304 Stainless Steel Cable Guide Wire is Vinyl Coated,so has waterproof,rust,corrosion resistance and strong toughness features. More Outdoor/Indoor Scenes Choice - Suitable for patio,garden,backyard party hanging holiday decorative lights and suspension for outdoor sun shade sails. Also can be used yard fencing,courtyard clothesline rope,picture hanging wire. Easy installation and Adjustable - Easy adjust cable tension using the push-button on snap hook,So you can freely DIY your party as you wish,requires no additional tools to complete the project. Portable and Durable - Also easy to disassemble,Each part is threaded and carefully selected and tested several times.Protect the intensity and integrity of light strings without the influence of rainy weathert,Working load limit of 125 lbs. What Your Get? 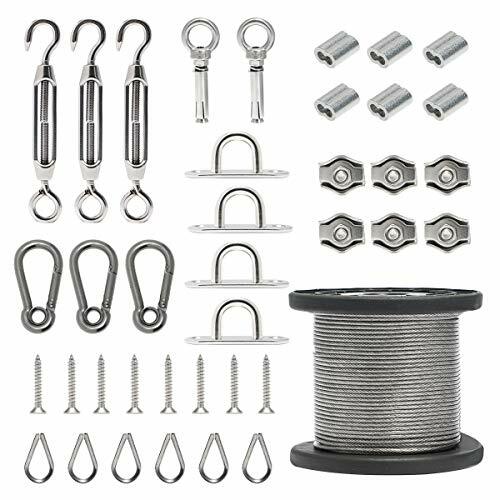 - In addition to get stainless steel cable wire suspension kit, you also get more than that, and you will have a satisfying shopping experience, a safe and happy party time. 1000LED Wall Mount 90 Bracket. Designed to allow any of our slip fit shoebox lights, parking lot lights, flood lights, street lights or solar street lights to be mounted to a wall..
Let's bring more green energy and brightness to life! 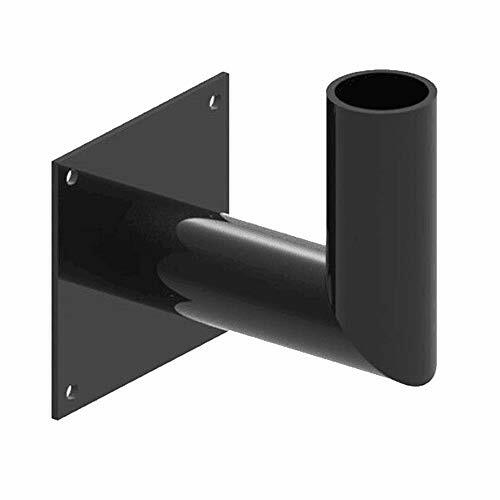 Easy to install: The wall mount bracket is very easy to install. Run the wiring through and secure to wall with 4 bolts. Widely Use: Great for slip fit shoebox light , parking lot light, flood light or other outdoor lighting fixture. Mainly focus on the North American market and focus on creating the best lighting fixtures experience. The main products include LED shoebox light, LED wall pack, LED flood light, LED canopy light, LED high bay, mountings, etc. STURDY CONSTRUCTION - Heavy duty steel design with double strength welds ensure the bracket lasts the test of time. Double reinforced weld joints, fade resistant bronze polyester powder coating weather resistant polyester powder. WIDELY USE - This steel tenon bracket is designed to mount atop wood, steel, and concrete poles. Great for slip fit shoebox light , parking lot light, flood light or other outdoor lighting fixture. 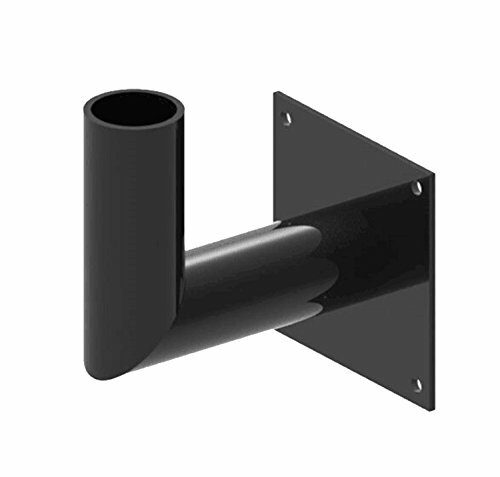 EASY INSTALL - Easy to replace old units or for new installation with the pole top mount. All screw mounting accessories is included. QUALITY AND WARRANTY - All of our adapters are heavy duty and designed to stand up over time, incredible quality with 5 years warranty. 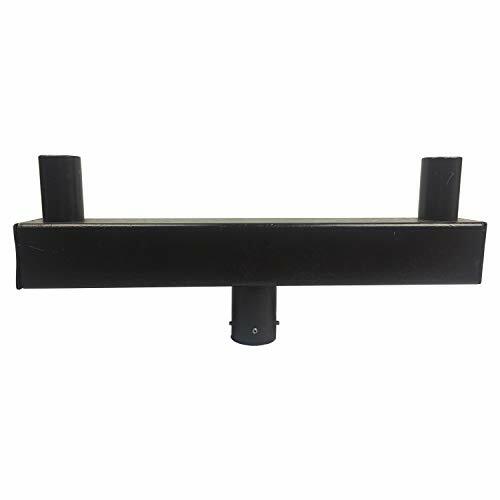 WIDELY USE - This slip fitter adaptor mounts is great for slip fit shoebox light , parking lot light, flood light or other outdoor lighting fixture. EASY TO INSTALL- Easy to replace old units or for new installation with the slip fitter adaptor. All screw mounting accessories is included. WARRANTY - Incredible quality with 5 years warranty. 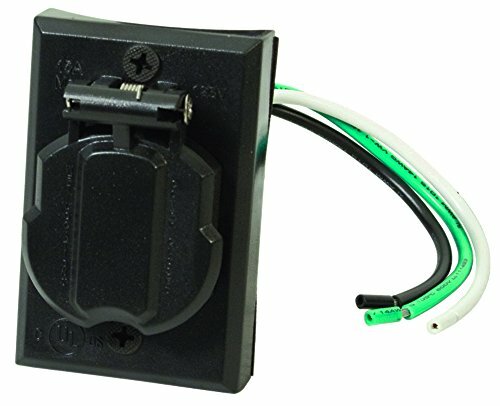 J.LUMI YCA1030 Through-hole mount dusk-to-dawn photo control ideal for residential outside post light control and able to be mounted into standard outlet box, post lamp pole and wall pack fixtures. Thermal sensor eliminates the load temporarily switching off due to car headlights, lightning or another temporary light source. Locking nut and washer gasket help keep moisture from penetrating photo control device. Requires a minimum 5/8 In. through-hole for proper mounting and wires should mount down when properly installed. 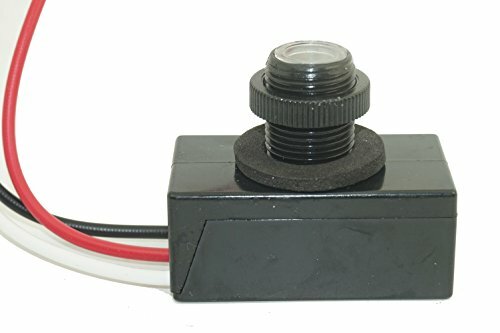 | UL LISTED | Our photocell sensor is UL listed to ensure quality and your safety, for a wide range of residential and commercial applications. | AUTOMATIC ON/OFF | The photocell sensor inside senses sunlight and automatically turns lights on at dusk and off at dawn. 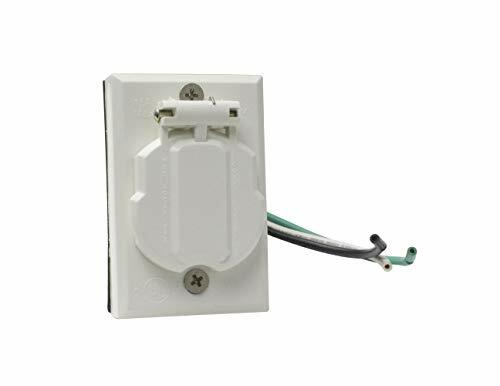 | FLUSH MOUNT PHOTOCELL BUTTON | Standard size for use residential outlet box, post lamp poles or wall pack fixtures. Time delay function inside the sensor eliminates the load temporarily switching off due to car headlights, lightening or another temporary light source. | WEATHER-PROOF PROTECTION FOR OUTDOOR USE | This photocell control has IP65 protection rating for outdoor use. The heavy duty body protects the sensor against weather elements such as rain and dust. | ELECTRICAL SPECIFICATIONS | 120V 60Hz, 1800W Tungsten, 1100VA Ballast; incandescent, fluorescent, LED, halogen, mercury vapor, high pressure sodium, and CFL compatible. For user manual, please scroll down to the Technical Specification section in the lower right of this page. This offering includes a 2-pack of the SCA-335 model. 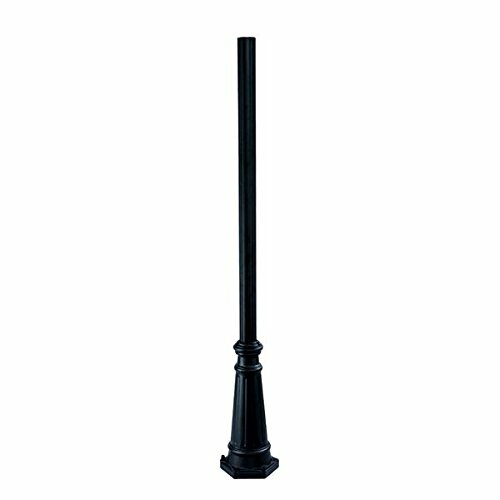 Solo Lights' 15 inch long by .75 inch diameter crossarm is the perfect tool to improve appearance to any light or yard post. Set up is easy, simply unscrew one end of the bar and slide through the post. The crossarm enables the use of sign, flower, or decorative hanging. This offering includes a 4-pack of the SCA-335 model. Solo Lights' 15 inch long by .75 inch diameter crossarm is the perfect tool to improve appearance to any light or yard post. Set up is easy, simply unscrew one end of the bar and slide through the post. The crossarm enables the use of sign, flower, or decorative hanging. 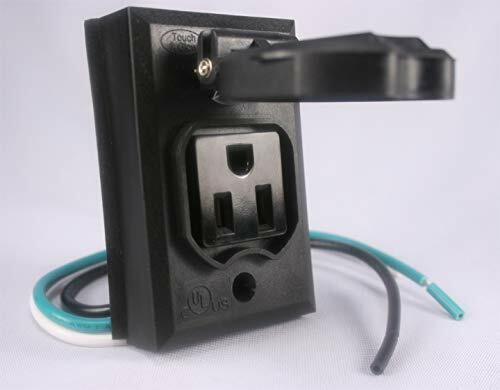 120 Volt grounded convenience outlet, UL Listed indicating true operational safety. Energy saver and coated with a weather resistant white finish to match your lamp post. Low Profile Bullhorn with Two Fixtures with 2-3/8" Splitfitters. Bottom portion is 3 inch round pole. 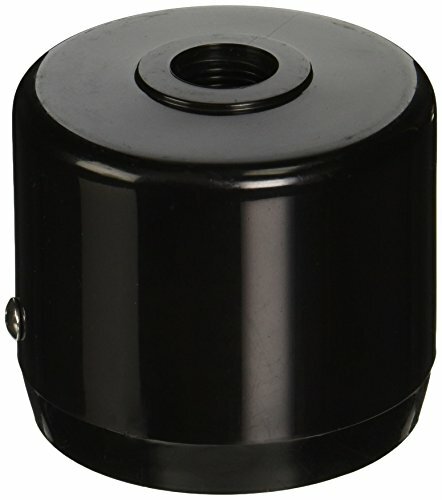 Adapter Tenon Bullhorn for Two Fixtures with 2-3/8" Splitfitters , Bottom portion is 3 inch round pole. Low Profile Bullhorn with 2 Arms, this is a bracket for led shoebox parking lot light, street light, area light etc. Heavy steel steel material, high quality products and all screws is included in package.